The folks who run HBO have a very simple message for any potential haters: No Game of Thrones, no problem. Yes, after Sunday’s season-eight premiere, the network’s most commercially successful series is just five episodes away from the TV history books. 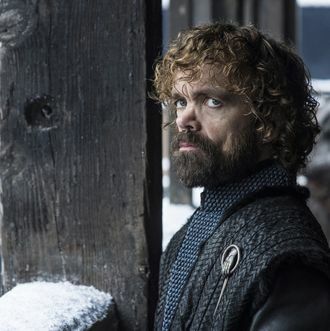 But HBO programming chief Casey Bloys has been busy for months preparing for the end of Thrones, stacking the service’s 2019 and 2020 schedule with a slew of high-profile new and returning projects, including the return of Big Little Lies (now with 100 percent more Meryl Streep), a couple of big genre swings (Damon Lindelof’s take on Watchmen, and an adaptation of Philip Pullman’s book trilogy His Dark Materials), a sketch comedy from Robin Thede and Issa Rae, and a limited series starring Nicole Kidman and Hugh Grant. Also on deck, but not yet scheduled: Joss Whedon’s Victorian sci-fi epic The Nevers, the J.J. Abrams–penned sci-fi fantasy drama Contraband (formerly reported as Demimonde), Steven Moffat’s take on The Time Traveler’s Wife, the Jordan Peele–produced Lovecraft Country, and, if it makes it past the pilot stage, Hugh Laurie in a new comedy from Veep creator Armando Iannucci. Oh, and then there’s that little Game of Thrones prequel, which starts shooting a pilot later this year. Of course, a jam-packed roster of new projects doesn’t mean smooth sailing is guaranteed at HBO. The shows still actually need to be good and the network needs to get people to actually watch them (a harder task than ever in the Peak TV era). And behind the scenes, HBO execs are still processing the sudden departure of Richard Plepler, the company’s longtime CEO and a key architect of its most recent wave of success. Plepler exited in February ahead of a corporate shake-up at parent company WarnerMedia that saw former NBC and Showtime chief Robert Greenblatt installed as CEO of WarnerMedia Entertainment, making him the de facto head of HBO — and Bloys’s new boss. While Plepler’s exit resulted in a slew of “What Now for HBO?” stories, the upside of all these changes is that the network now has, in AT&T, a deep-pocketed new parent company that seems committed to succeeding in the streaming wars. What’s more, Greenblatt is well-respected TV-industry veteran who seems happy to let HBO be HBO (and, in fact, helped produce the network’s well-remembered hit Six Feet Under). 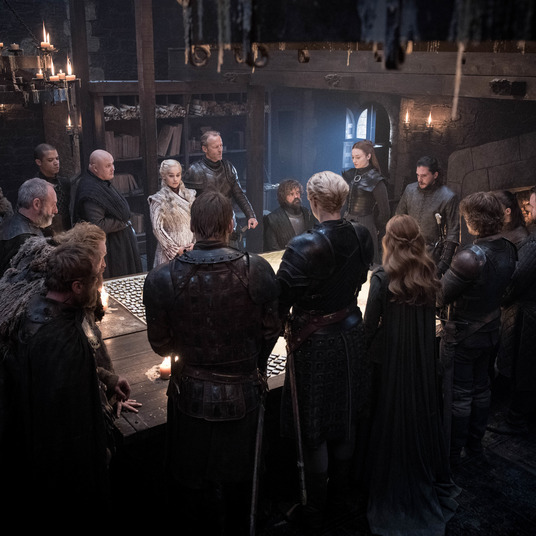 Perhaps to underscore the idea that all is well at HBO right now, Greenblatt and Bloys got on the phone last week with Vulture to discuss their post-Thrones plans for the network. What follows is an edited and condensed transcript of the conversation. There’s no doubt you can’t replace Game of Thrones, but the conventional wisdom said you couldn’t top The Sopranos either, until you did. Is there a message you want to send to folks predicting the end of HBO because one show is going away? What’s your mood as Game of Thrones prepares to exit? Casey Bloys: Obviously having a show like Game of Thrones is very special, and if the guys wanted to do more seasons, we would’ve been right there. But all good things come to an end. Right now there’s a lot of focus on Game of Thrones, and rightly so. But if you think about what we’ve aired between this season and the last season, we had Westworld, Succession, Sharp Objects, My Brilliant Friend, Barry, Veep, Insecure, True Detective, John Oliver, Bill Maher. HBO is more — and always has been more — than just one show, and it will continue to be. After Game of Thrones, we’ve got Big Little Lies season two, we’ve got Euphoria, and Watchmen, His Dark Materials — there’s an incredible lineup. So the message is: Game of Thrones was great and very special, and we will continue to do great shows. Nobody knows where the next Game of Thrones is going to come from. 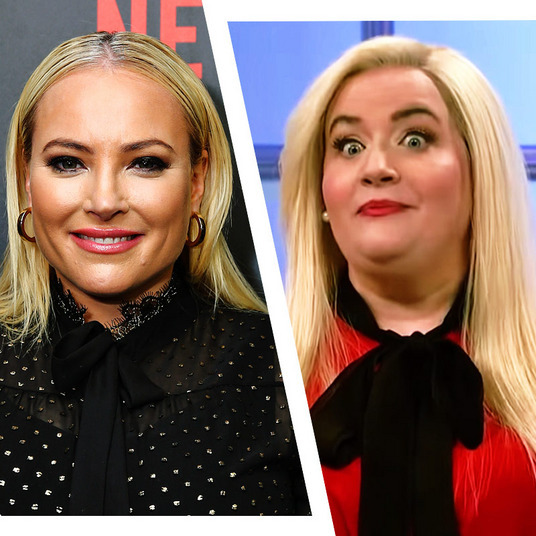 Obviously, the TV landscape has changed since that show aired, and it’s probably more of a challenge for any platform — network, basic cable — to get that big watercooler hit. But that doesn’t stop what we’re doing. Bob Greenblatt: I would add that while it’s always great to have one or two of those big tentpoles — and I can’t overstate the greatness of Game of Thrones — in this new, very competitive world that we live in, where you’re fighting for the eyeballs every single month, the real job is to constantly have something fresh and new and outstanding and great, not depend on the show that comes on for 10 or 12 weeks and then goes away. We’ve just made this big increase in the programming budget for substantially more hours. Every day, there’s another announcement about Jake Gyllenhaal or Kate Winslet. The list of talent is just incredible, and our job is to keep those things coming, month after month after month. If one of them emerges into another Game of Thrones, we’ll be thrilled about that. But you never know when that’s going to happen, and it’s oftentimes the show you least expect. We’re bulking up in the right way, which is more volume, but not excessive. We want to keep the handmade quality of these shows and the relationship we have with talent, which is our real selling point. But more is better, and this team has really gone forward in a very aggressive way to do more, and it’s all of this exceedingly high quality, which is what the network’s always been known for. Ideally, how often would you want to premiere a major bit of programming now? Do you want to have something big every week the way Netflix does? Casey Bloys: A show doesn’t need to be a gigantic tentpole to do what it needs to do. A show like My Brilliant Friend, which didn’t cost even a small portion of the Game of Thrones budget, has a very devoted audience. That’s doing a different job than a Game of Thrones or a Westworld, and I don’t think you want to see a lineup of all tentpole shows, nor do you want to see all My Brilliant Friend. But in terms of frequency, every few weeks. What you don’t want is the shows to get lost. And if you are premiering big shows once a week, the message can get lost. Bob Greenblatt: Yeah, we’re looking at trying to get something significant out to the consumer every several weeks to a month. That could be a big, new high-budget series. It could be one of our many extraordinary documentaries [such as] Leaving Neverland and The Inventor and The Case Against Adnan Syed. People were talking about HBO incessantly for several weeks because we had those docs one after the other. I think it’s a mix of all of the strata of what goes into this place. The art of it is the scheduling and how it all maps out, but I think it’s got to be more frequent than it has been over the years. And it already is coming together like that. Years ago, HBO used to make a lot more original films. Is that one way to increase your output? Casey Bloys: We’re talking about the right strategy for HBO films. I do think there’s been a little bit of fatigue with the biopic. What’s really been interesting is, we’ve been able to pick up some great films at festivals, like The Tale [and] Native Son. Directors and producers are much more willing to have the conversation about airing on HBO because of the way we put things out into the culture. So I think that is a much more viable option for us going forward. Bob Greenblatt: What Casey’s been doing more of, and I like, is the mini-series, which was sort of an endangered species until a few years ago. There’s a real appetite now for six, eight, ten hours of something that then is over and done, which could be more rewarding than even some of the one-off two-hour movies. So we’re doing more of those along with more longer-running series as well. Casey Bloys: Next year, we’ve got The Plot Against America and I Know This Much Is True with Mark Ruffalo. Both could’ve been — and probably would’ve been — movies five years ago. Disney just outlined its plans for the Disney+ streaming space. What did you think of its presentation? Bob Greenblatt: I haven’t pored over it in any great detail, but the messaging was really strong. They came out with a big agenda and list of things that are going onto that new service, and they looked really unified and smart. The pricing is really good for the market they want to be in. You know, it’s hard to have anything but respect for what Disney’s doing. In some fundamental ways, it’s different than what we’re going to be doing, but in their space, they’re sort of good as it gets. It was impressive. Getting back to Thrones, you’re going to have a huge audience to which you can market your upcoming slate. What can we expect you to emphasize? Casey Bloys: It’ll be everything we have coming through the end of the year. You’ll see Euphoria, Big Little Lies season two, Watchmen, Succession, His Dark Materials, and a couple of docs, The Deuce, Ballers, Danny McBride’s new show. We have a lot of stuff to promo. Will we get one big new trailer premiere during the next few weeks? Casey Bloys: You have to tune in to watch. I have to ask for a status update on the Game of Thrones prequel pilot. What are the odds there’s something from the GOT universe by the end of 2020 or in 2021? Casey Bloys: We’re mostly cast and we’re shooting in June, so that is a go pilot. I’ve been to table reads. They’re really great. We’re thrilled with the scripts. If we’re shooting a pilot in June, you can do the math in terms of when a potential series could go, but I don’t want to put that sort of expectation on it, because that’ll just make everybody anxious. Well, Game of Thrones takes more time than a lot of shows to get episodes done, so I don’t know if I can do the math! So you’re saying 2020 is not unfeasible? Casey Bloys: I didn’t say that. I just said we’re shooting a pilot in June that we’re excited about, and we’ll take it from there. One of your bosses mentioned something a bit ago about maybe doing a short-form version of Game of Thrones. Is that something in which you’re interested? Casey Bloys: I think Randall [Stephenson, head of WarnerMedia and HBO parent AT&T] said that tongue in cheek. I don’t think he literally meant that we were going to do that. What about short-form programming overall as a genre? Bob Greenblatt: It is something that we have been talking a lot about. I’ve been here just a few weeks, but we are a company that is literally in the phones — in the pockets — of 150 million people. Short-form stuff is conducive to that. It’s not ready to really be spoken about yet, but it’s very much on our minds. I think it’s not only the future, but it’s really conducive to phones, so I think it’s going to become a business for us. But we’re just in the early stages of really getting into it. So Bob, you’ve been on the job a couple weeks now. What’s surprised you or not surprised you about working with the people at HBO? Bob Greenblatt: It didn’t surprise me at all because this company is the same as it’s always been. I had that great experience 20 years ago with Six Feet Under, and in so many ways, it’s essentially the same company: a talent-friendly organization that knows how to make some of the best television anywhere in the world. It was really lovely to walk into a place that didn’t need to be completely reinvented or rebranded like my previous jobs. This company’s just soaring at the moment, and I’m really happy to be a part of it. There’s other things that are more challenging, but HBO is cruising right along. You’ve confirmed that Westworld won’t return for season three until 2020, which isn’t a shock given how intense its production process is. But looking at your slate, I also noticed you’re pushing Insecure until 2020. Why the delay? Casey Bloys: Well, Issa became a big movie star! We’re not the first place to deal with this, but when you’re in business with very creative and talented people, there’s a lot more opportunities for people to do things. Issa, I think, partly wanted a break to come back to it fresh. And I will say, it wasn’t exactly random that we ended up [scheduling the show] in the spring, right before Emmys, so that the show should get the Emmy love that it has deserved. Bob, you’re overseeing all of WarnerMedia’s TV properties, including both HBO and the various streaming efforts Kevin Reilly is working on. In this new world of WarnerMedia, how do Casey and Kevin interact when it comes to programming? Or do they? Is it your job to make sure they don’t really have to talk to each other, unless it’s in social situations? Bob Greenblatt: I don’t want them ever to talk to each other! [Laughs.] It’s a good question, because as this company moves together in this shared universe of a new streaming service, new original programming from Kevin and his group is going to be important alongside the heart of the service, which will be all the great HBO stuff. I think it’s important for these guys to talk a lot, and know what the other’s doing, because you want to have distinction between the two. Kevin’s going to be focusing on all the genres and all the demos that HBO doesn’t focus on. Casey Bloys: The good news is I like Kevin and [WarnerMedia streaming programming chief] Sarah Aubrey. We have good relationships prior to this, so there’s an easy relationship there. Bob Greenblatt: It just makes sense for everybody to know what’s going on. To some degree we’re inventing it as we go along, but there’s a lot of reasons for them to have a lot of interaction and figure out who’s doing what. I’m kind of joking here, but kind of not: Have you guys have decided for sure whether you want to make Friends exclusive to your new streaming service, or whether you’ll continue to share with Netflix? Bob Greenblatt: Well, I decline to answer that question. [Laughs.] There’s ongoing discussions, but I am very hopeful that we’re going to come to a conclusion that everyone is going to be excited about, including me. So, you can read that however you will. How is that for a nonanswer? Bob Greenblatt: You know what? Ted’s happy about so many things that I don’t need to make him any happier. So, all good.